On Wednesday, Bryant placed his X on a one-year deal with the Saints to finish out the 2018 season with one of, if not the best team in the NFC. How did the face of the Cowboys organization end up a mid-season acquisition in New Orleans? 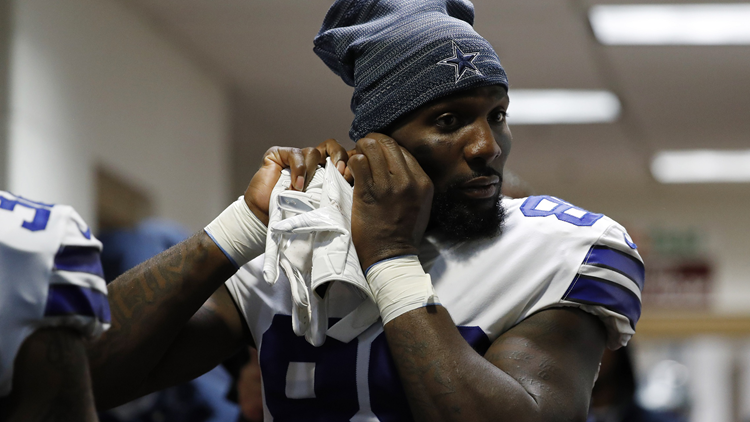 Empty words, a lack of creativity, a coaching power struggle and lots of animosity led wide receiver Dez Bryant out the state of Texas, down a few dirt roads and into the loving arms of New Orleans. Bryant has finally landed with a new team, and the explosive offense constructed by mastermind Sean Payton and Pete Carmichael will be the beneficiaries. 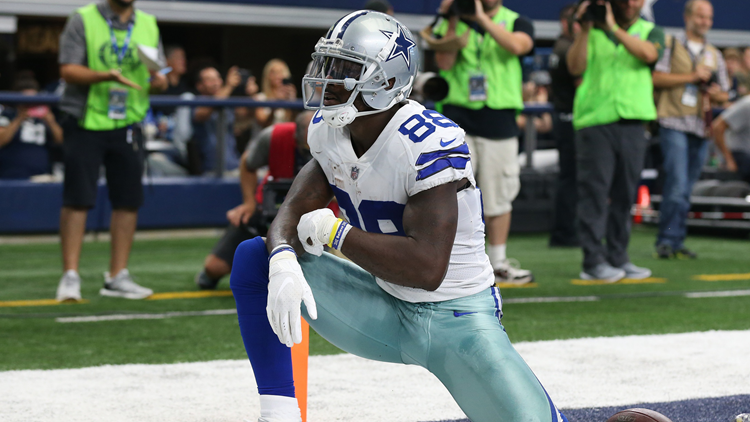 When Bryant next throws up the X as a touchdown celebration, it will be legions of Saints fans cheering him on now, not a Cowboys Nation contingent who has remained steadfastly loyal to him since his departure from the organization. On Wednesday, Bryant placed his X on a one-year deal with the Saints to finish out the 2018 season with one of, if not the best team in the NFC. How did the face of the Cowboys organization end up a mid-season acquisition in New Orleans? Oct 8, 2017; Arlington, TX, USA; Dallas Cowboys receiver Dez Bryant (88) celebrates a touchdown against the Green Bay Packers at AT&T Stadium. Make no mistake, Bryant had no longer been performing at the level demanded of him by his large contract with Dallas. However issues at the quarterback position in 2017 also contributed to his statistical decline. The biggest culprit was lower-body injuries had robbed Bryant of his primary elite trait. Bryant was never considered a burner, as his 4.52 40-yard dash time will attest. That’s not even in the top 50 percentile among NFL wide receivers. However his explosiveness off the line of scrimmage was unmatched. His 10-yard split of 1.4 was in the top one percentile. Over the past few years, that had eroded, causing him to have separation issues. With an inaccurate quarterback in Prescott throwing him the ball, this was a major problem. With a bullseye-hitting dart thrower in Drew Brees getting Bryant the ball, and a creative offensive gameplan which routinely leaves defenders scratching their heads, this issue should be minimized. Bryant’s last few months with the Cowboys were a drama-filled journey that was hard for the Dallas fanbase to go through. After the conclusion of the 2017 season, with Dallas missing the playoffs with a 9-7 record, word began to emerge the organization was considering asking Dez Bryant to take a pay cut. Bryant had signed a five-year, $70 million deal in Summer 2015 after the club had franchise tagged him that spring. Set to count $16.5 million against the cap and cost $12.5 million in cash, something had to be done after he failed to pass 850 receiving yards for the third year in a row. Towards the end of the 2017 season, Bryant called out Scott Linehan for his play calling. More on that in a minute. VP Stephen Jones, the executive in charge of the salary cap and negotiations for Dallas, hinted a move could be made to reduce Bryant’s salary in January, but after a coaching shuffle brought a new wide receiver coach in Sanjay Lal, things looked rosy. Lal was brought in during a massive power struggle among the offensive coaching staff. Position coaches jockeyed for position and a bigger seat at the table, but Linehan emerged victorious, replacing all dissenters from QB coach Wade Wilson to OL coach Frank Pollack and WR coach Derek Dooley. All of a sudden, Linehan was truly the big dog in the offensive meeting rooms and that didn’t bode well for Bryant. Bryant spoke of latching on with a route-running coach and appeared dedicated to transforming the second half of his career. In early March, owner Jerry Jones said Bryant was going to be with Dallas in 2018. At the start of free agency, the Cowboys flirted with signing Sammy Watkins, who balked at Dallas’ $15 million a year offer to sign with Kansas City for $16 million a year. Leaking that media to prove to the fanbase Dallas was serious about adding talent, the admission once again sent up question marks about the team’s plans for Bryant. At the end of the month, head coach Jason Garrett echoed Jones’ sentiments Bryant would remain with the team. As the draft got closer though, the winds seemed to shift. Finally, a week before the draft and after rumors continued to swirl, the elder Jones called Bryant into the offices at The Star, and gave him his walking papers. A week later, and Amazon Prime’s documentary Series “All or Nothing” was released, giving the world a glimpse into what it was like for the Cowboys in 2017. Speculation occurred that pre-screening of the doc helped motivate Dallas into moving on from Bryant, who’s dominant personality had been a subject for half of a decade. 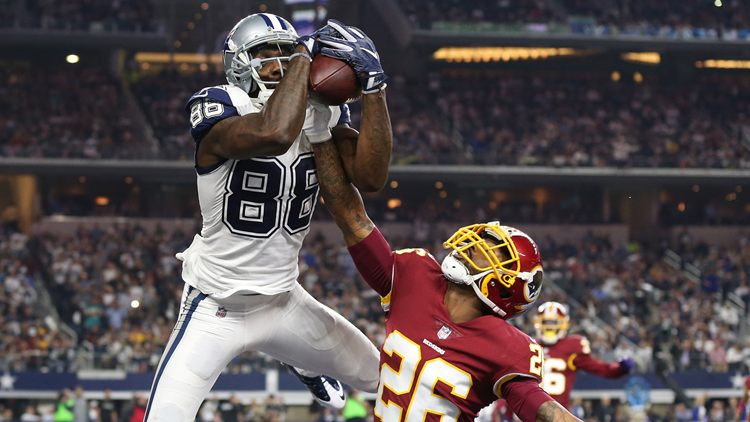 Nov 30, 2017; Arlington, TX, USA; Dallas Cowboys wide receiver Dez Bryant (88) makes a fourth quarter touchdown reception against Washington Redskins cornerback Bashaud Breeland (26) at AT&T Stadium. Bryant almost immediately informed the media Dallas would be seeing him twice a year, indicating he planned on signing with an NFC East rival. That of course didn’t happen, but reports surfaced in a few weeks that Bryant had turned down a multi-year, multi-million offer from the Baltimore Ravens. More time passed and no other offers were made public. May turned into June and more and more people wondered what why Bryant wasn’t receiving interest. He was, he was just turning them down, wanting to wait until training camp to sign with a new squad. Then training camps opened and things really hit the fan. The younger Jones went on SiriusXM NFL radio and hinted that the Cowboys’ passing offense would be better if Prescott no longer had to pacify Bryant’s constant demands for the football. The station chopped up Jones’ words to make them have more vitriol and Bryant went apoplectic in response. He fired off a veritable tweet storm, once again calling out the miserable play-calling and re-naming Sean “Snake” Lee for being complicit in his release along with center Travis Frederick. Apparently the Cowboys had polled the team’s Leadership Council and the response was the club would be better off without him. Bryant visited with the New England Patriots at the beginning of August, but there was no public report of things progressing beyond that, just Bryant on Twitter lauding the talent of Tom Brady as the best QB of all time. A few days later Bryant was the star of another NFL documentary episode, this time on HBO’s “Hard Knocks,” as he visited the Cleveland Browns during training camp, but wasn’t enthusiastic about signing with them, either. The 2018 regular season started and Bryant was still a free agent. When the Cowboys came out flat against the Carolina Panthers, Bryant was sure to let the world know the offense was still struggling without him. Near the end of September, he let the world in on his personal journey, that he was working to get himself physically and mentally in shape — battling depression, anxiety and panic attacks — but was back in a good place. When asked on Twitter a week later, Bryant admitted his preference would be to still remain with Dallas, but he would consider other teams. Finally, a month later, word surfaced the former Oklahoma State star was visiting the Big Easy as part of a multi-player wide receiver workout for the Saints.